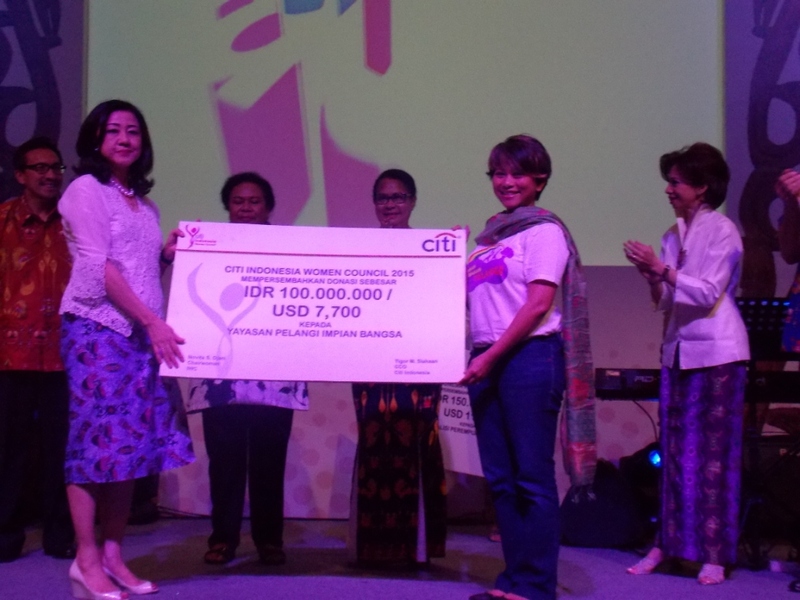 On Tuesday, 17th March 2015, Citi Indonesia Women Council commemorated the International Women’s Day by holding an event themed ‘Stand Up Like a Woman’. 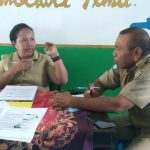 In this year’s commemoration, Citi Indonesia places a special attention to supporting women in remote communities of Papua. The event was attended by hundreds of Citi Indonesia staff, the Minister for Women Empowerment and Child Protection, Prof. Dr. Yohana Susana Yembise, MA, as the guest of honour, Miss West Papua 2014 Ellen Rachel Aragay, and representatives of NGOs, including the Rainbow Reading Gardens. 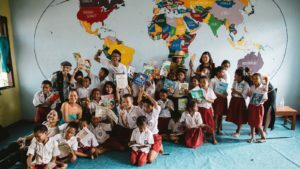 The Rainbow Reading Gardens, whose work include setting up libraries in Papua and the rest of eastern Indonesia, was invited to participate in the event because Citi Indonesia believes that children education is an important component to empowering women in communities. 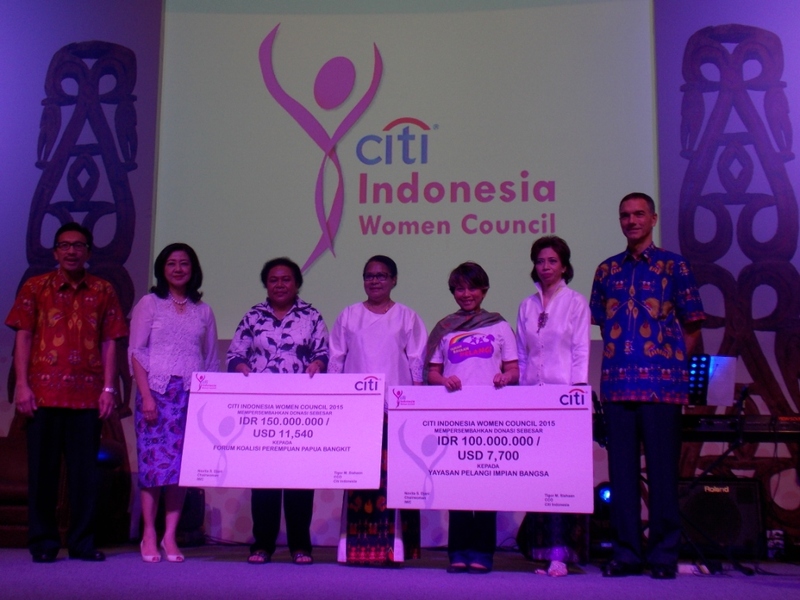 In this occasion, Citi Indonesia Women Council donated 100 million rupiah fund to the Rainbow Reading Gardens. 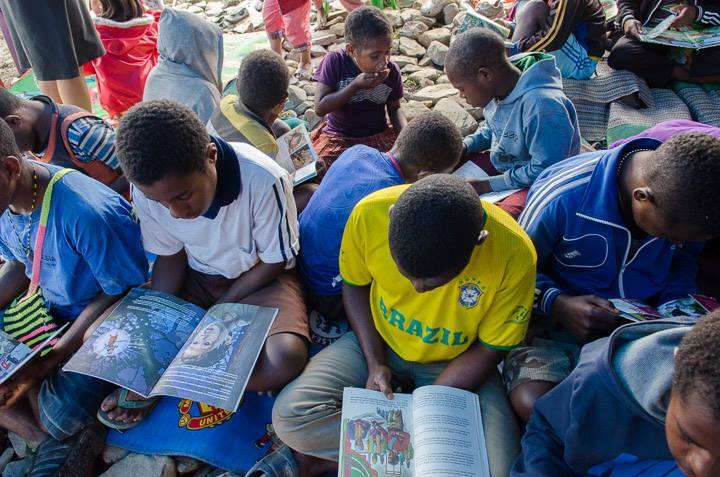 The contribution would be used to run the libraries in Papua and surrounding islands. In addition, Citi employees also collected and donated boxes of storybooks, to be sent to the children in the Rainbow Reading Gardens. 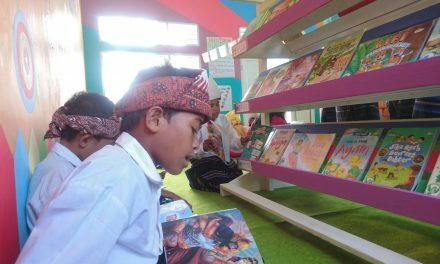 On behalf of the children of eastern Indonesia, especially the children in Papua, we want to express our heartfelt gratitude to Citi Indonesia who has supported us in our effort to increase the reading interest of the children in eastern Indonesia. 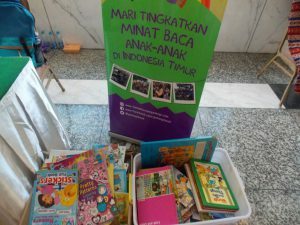 We also would like to thank everyone who has participated in collecting and giving away storybooks for the children. The children will be very happy to read them. 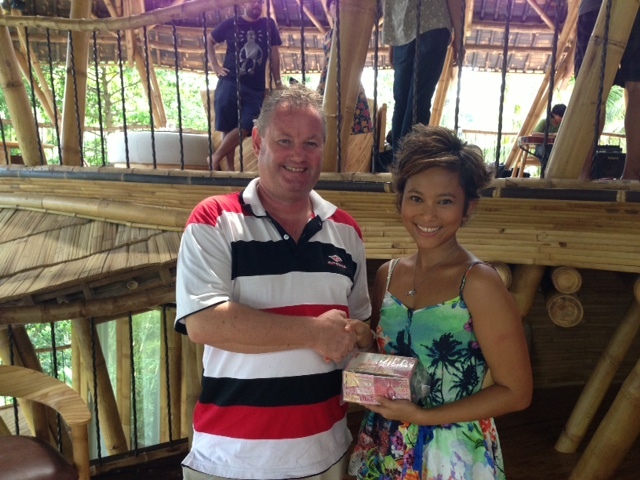 Thank You, Indo Yacht Support !